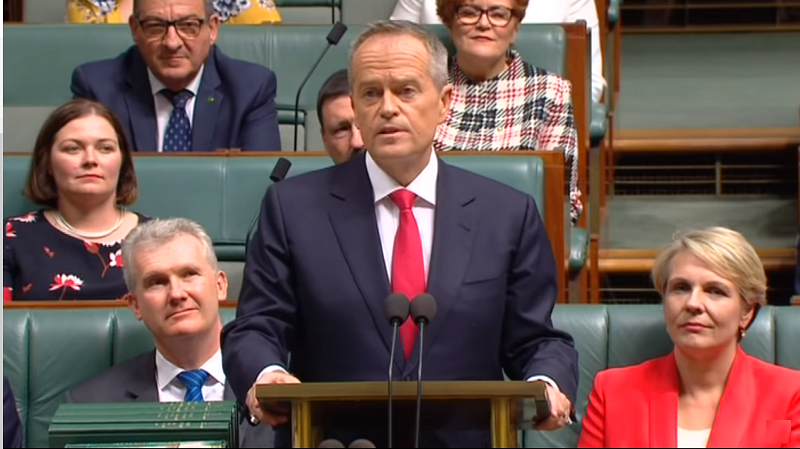 The scene was set by the Minister for Industry, Science and Technology, the Hon Karen Andrews MP: “Science needs business, business needs science, and Australia needs both”. A range of leaders, from different sectors, disciplines and areas of expertise, shared a host of advice with the hundreds of delegates in attendance. Quality and trust go hand in hand with big data, said Jeroen Prinsen from Clarivate Analytics. It used to be said that knowledge is power, now the power is knowing what to ignore. The most important part of using these new technologies is to remain human, according to Rita Arrigo, Chief Digital Officer from Microsoft. Big data and new digital technologies can help us achieve better accessibility, designing for diversity and inclusion. Dr Stephanie Williams from Westpac pointed to the challenges for legislators, as legal frameworks struggled to keep up with the break-neck pace of advances in technology. Its important to think about the user experience early in research, suggested Sumeet Walia from RMIT, so solutions developed in health are used because consumers want to use them, not because they have to. 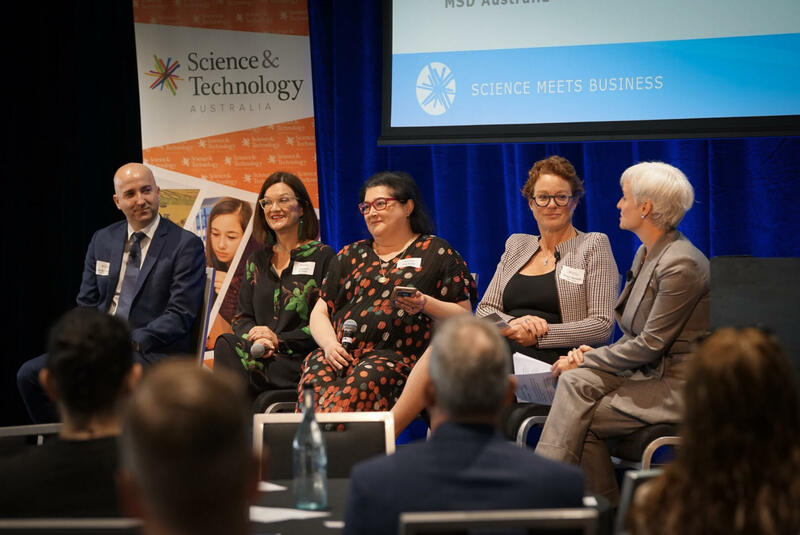 The event was then split into two sessions, one exploring the emerging opportunities in the medical applications of data, and the other on the potential for space science in Australia with the Square Kilometre Array and a new national space agency. During the pitch workshop, Sally-Ann Williams from Google and Catherine Kitney from Fishburners said that researchers and business leaders both needed to know how to pitch. They all need collaborators; the ability to build networks; and the preparation in case they are stuck in an elevator with someone like Richard Branson. In the afternoon the delegates split again, this time to explore the ways data is transforming agriculture and the management of our food production; and the cybersecurity challenges we are likely to face when looking to protect this newly collected data. 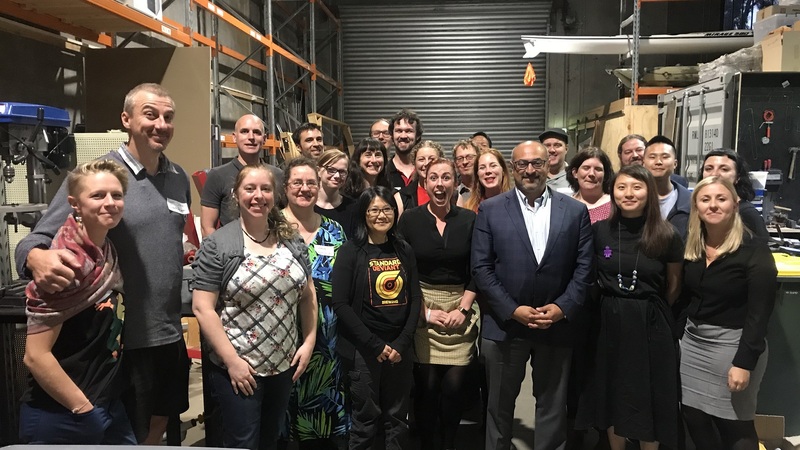 To finish the day, we celebrated our generous sponsors and supporters, who include the Department of Industry, Innovation and Science, the Centre for Nanoscale BioPhotonics, the CRC Association, gemaker, Patton’d Studios, the Queensland University of Technology, CSIRO and Taylor & Francis Group. For updates on our future events, sign up to our newsletter, or follow us on Twitter, LinkedIn or Facebook.